I love knives. I love using knives more. It is one of the simple pleasures in my life to enjoy slicing through a juicy steak. 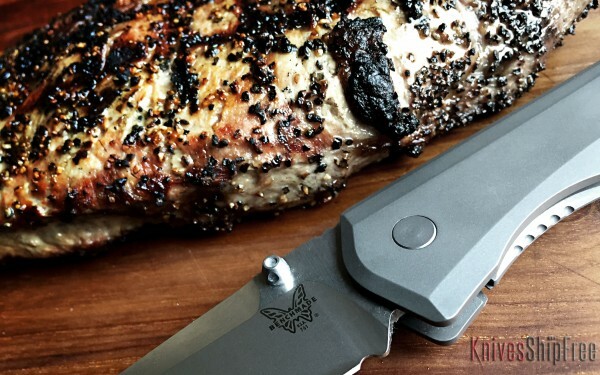 When I go to a steakhouse and they hand me a dull, serrated, piece-of-junk knife, I love to push their knife to the side and use the REAL knife I have in my pocket. This Benchmade 761 Ti Monolock is perfect. This entry was posted in Benchmade, EDC. Bookmark the permalink.